We have just returned from a short vacation in Maremma: we decided at the very last moment to leave on this trip, taking advantage of the warm sun and nice days this mid-October was giving us. 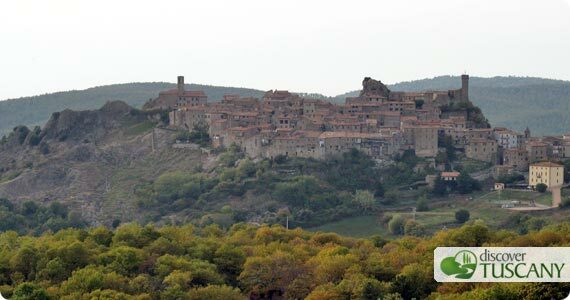 We had never visited the upper part of Maremma close to Monte Amiata, between the Tuscan coast and Val d’Orcia. It was a nice surprise. 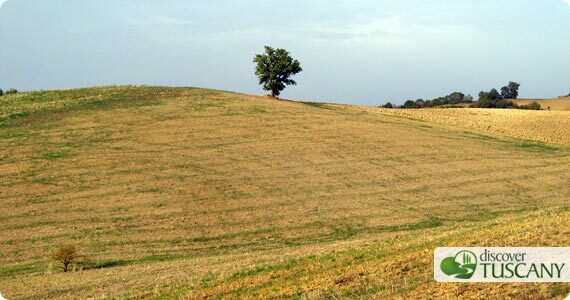 The landscape reminds us of the Crete Senesi which so often are potrayed in postcards from Tuscany: soft hills of vineyards, brown and yellow fields with big, isolated trees in the middle of a cultivated field, woods with oaks and chestnut trees. There are few houses, mainly farms that often offer accommodation and may also have a restaurant where you can have a good typical meal. We chose one of these “agriturismo” for our stay, but we’ll talk about it in the next post. We spent almost a week visiting the small villages and towns in the area: Pari, Civitella Marittima, Paganico, Roccastrada, Roccatederighi, Campagnatico, Monticiano. These are all small, mostly well-conserved medieval villages, usually sitting on the top of hills and that surrounded a castle and were protected by stone walls. In October, they seem very quiet (almost too quiet! ), with only a few locals and a random tourist. We particularly liked Roccatederighi which was more alive as a town and sitting on a hill made of volcanic rock: the houses, the church, the tower seem to rise from the rock itself and huge rocky spurs form almost another natural tower next to the ancient castle. We didn’t eat at a restaurant at a local agriturismo since we were often further away but we did discover some really good restaurants: you can definitely tell that there are great places to eat in the area. We were particularly impressed by the Locanda nel Cassero in Civitella Marittima where we had two excellent dinners. The chef prepares dishes that are revisitations of the typical Tuscan cuisine made only with fresh local ingredients, so the menu changes every season and possibly every day. The restaurant is very popular and it was full even in this low season so they recommend to call and reserve (see www.locandanelcassero.com for more info). While geocaching and hiking we visited several castles, the most beautiful of which is the ruins of the castle of Sassoforte, of which only the great walls are still standing among huge vulcanic rocks. Walking was fun (when we don’t lose the way) but it must be even better to go mountain biking on the hills of Maremma. There are plenty of wide unpaved road and paths in the woods and even on the main roads cars were few. At the end of our trip we met Riccardo, in Roccatederighi, who rents bicycles and organizes bike tours in Maremma. Riccardo was very friendly and helpful and found 2 mountain bikes for us to go for a short ride. Unfortunately, we had to cancel at the last moment, but we plan to go back at least for a weekend of pure mountain biking in Maremma. If you have the same idea you can visit Riccardo’s website at www.maremmainbici.it. On our last day of vacation we visited the abbey of San Galgano, between Monticiano and Chiusdino. It was maybe the most beautiful place we visited on this trip and definitely a must-see. 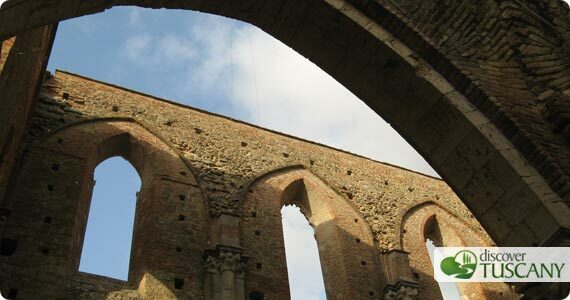 Only the walls of the magnificent medieval abbey are still standing: the roof and bell tower collapsed centuries ago. What is left now is a magnificent cathedral in a valley surrounded by cultivated fields and woods, with the sky as a roof. Entering into the cathedral you don’t have the impression of entering a ruin, because as you look upward and view the sky it almost seems that you have a clearer view towards God and to His Creation (at least that was my impression). 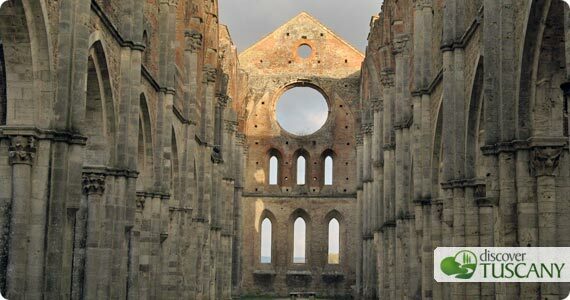 San Galgano is also famous for its sword in the stone, located within the Montesiepi hermitage near the abbey. Even if it a sword in a stone makes one think of King Arthur, the sword here has a very different story. Galgano used to be a knight but in 1180 he decided to give fighting up forever. With great strength and convinction to not use it as a weapon any longer, he struck his sword into the stone to use it as a cross where he could pray. Today, under the protection of a clear dome, it is still possible to see the ancient sword in the stone at the center of the Montesiepi chapel, which contributes a little magic to this place.